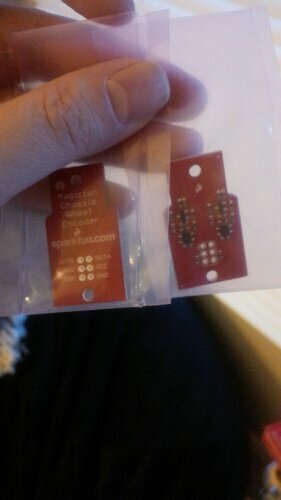 A little while ago I bought 11 boards from SparkFun from Dings and Dents for 25 cents a pop. Why? Well I was curious and printed PCB’s usually run at least a dollar or so. At the same time I got a bunch of Dings and Dents sensors or something therein. Those super cool large proto boards worth about 4-5 for bucks a pop and something called a wheel encoder I haven’t had time to look up. So, I wanted to take this up a level. Last week I bought 200 more! What did I get this time? A heck of a deal. 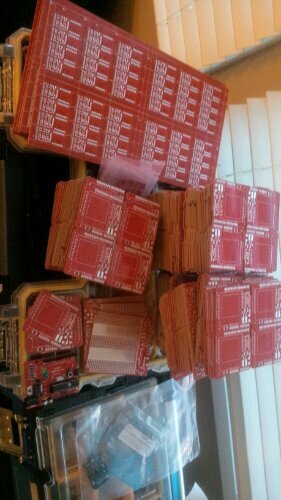 About 800 LCD shields!! That you can basically turn onto any mini proto shield you want! These run 2-3 bucks on ebay without headers. And about 3 to 5 with (I happen to have thousands of header sets already). In addition. It came with about 200 mini blue tooth PCB’s – great for art or little artwork which is another 1-2 bucks each. And another handful of the big fellas. That’s about 3,000 bucks worth of boards for 50 bucks. 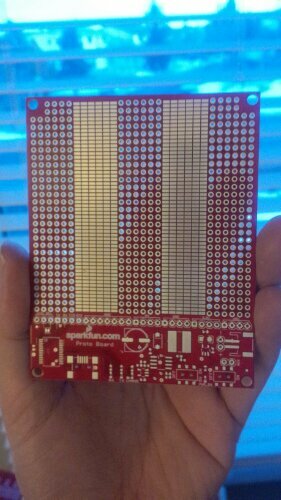 And enough proto boards for a small army. 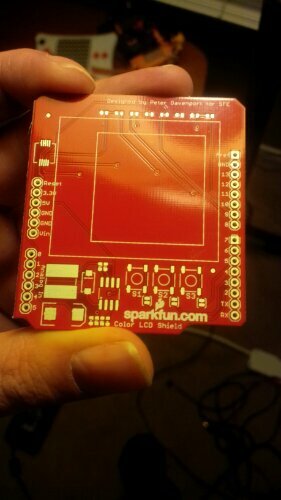 SparkFun, too cool. Thank you. These *will* get used.